Hi everyone! It's time for another review. 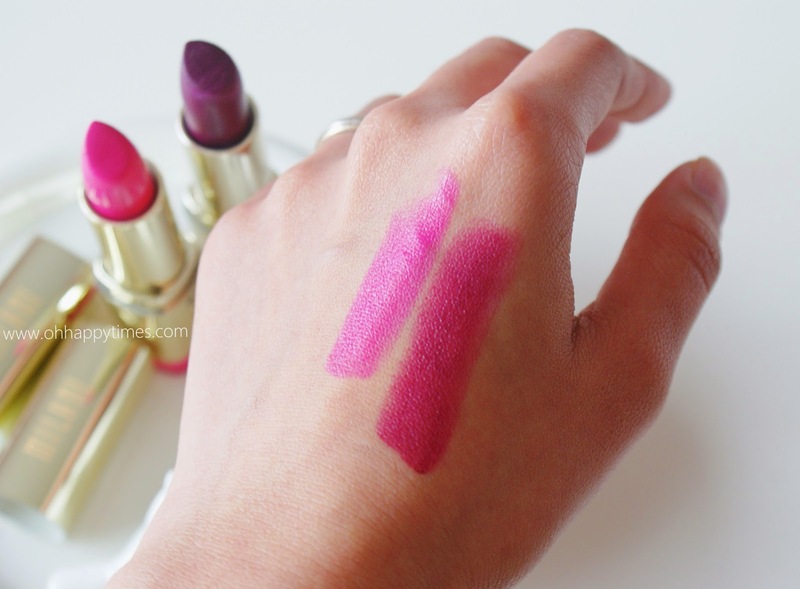 These are Color Statement Lipsticks by Milani. If there's any make-up products that's on the top of my list, it will be lipsticks. When it comes to lipsticks, I know what's best for my complexion, and what's suits me well. I love bright pinks and berry shades, but there are also some neutral shades that won't wash me out and works well too. I always enjoy cream finish lipsticks and sometimes matte. These are two out of many shades of Milani Color Statement Lipsticks. I got them at my local CVS store last year for about $5.99 each. Quick Tip: If you're not a fan of matte, you can always apply a lip balm first, and then apply the matte lipstick over it. Or you can apply the matte lipstick first, and then apply the same color of lip gloss over it. 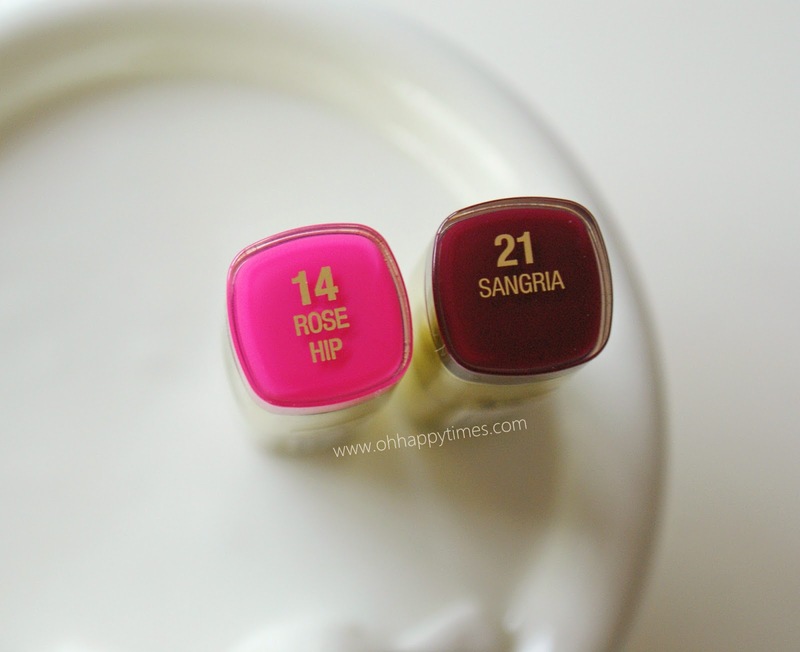 Both are great everyday lipsticks, but I tend to use the Rose Hip color for Spring/Summer - it's a bright pink but not over the top, it's a really fun color. And the Sangria is best for Fall/ Winter - it's a perfect berry color, all combination of red, plum, pink are there. It's not too dark, but you can easily build it up, the more you apply, the deeper it looks. Rose hip is such a beautiful shade. Perfect for spring and summer. 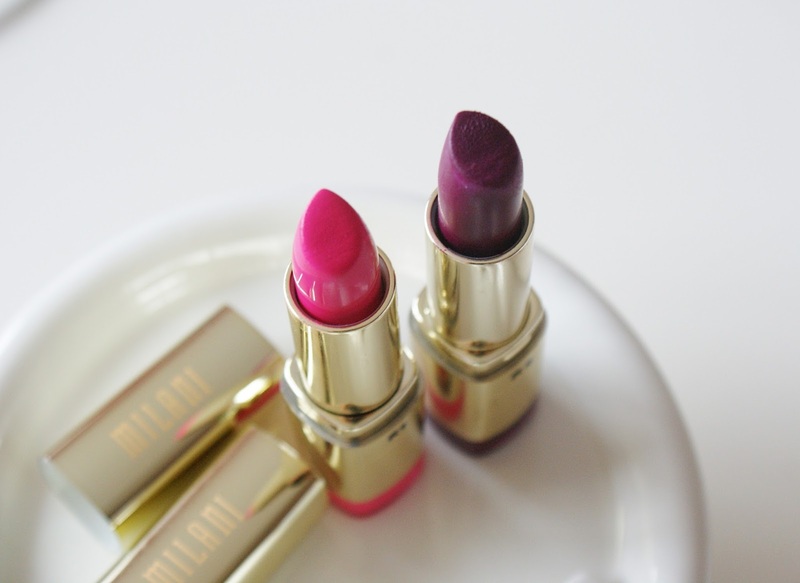 I love Milani products but I don't have these two shades, I so want to get these now! Great spring shades!! I saw you just started your blog last month, that's awesome. I'm pretty new to blogging too!! I'm excited to see what you post!!! That pink is such a great shade!